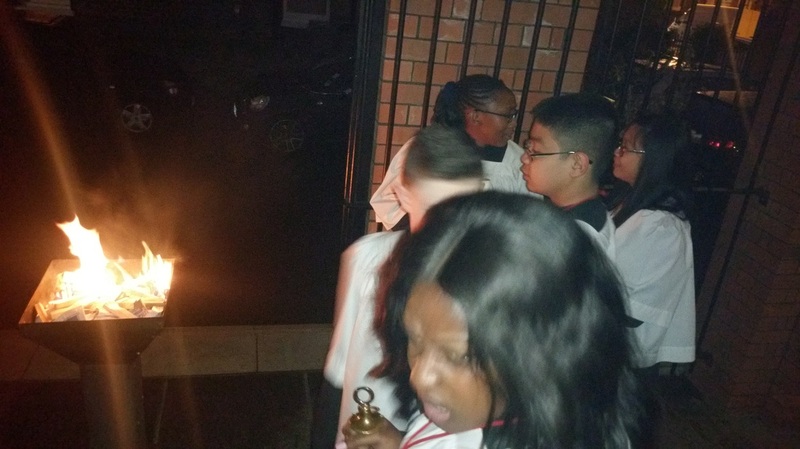 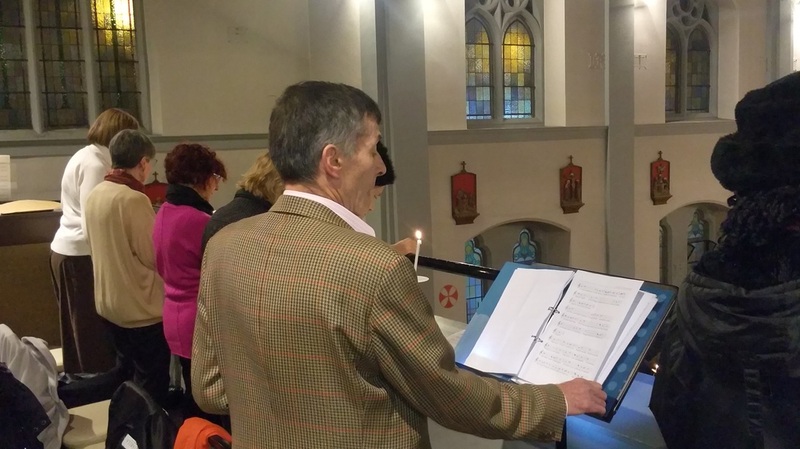 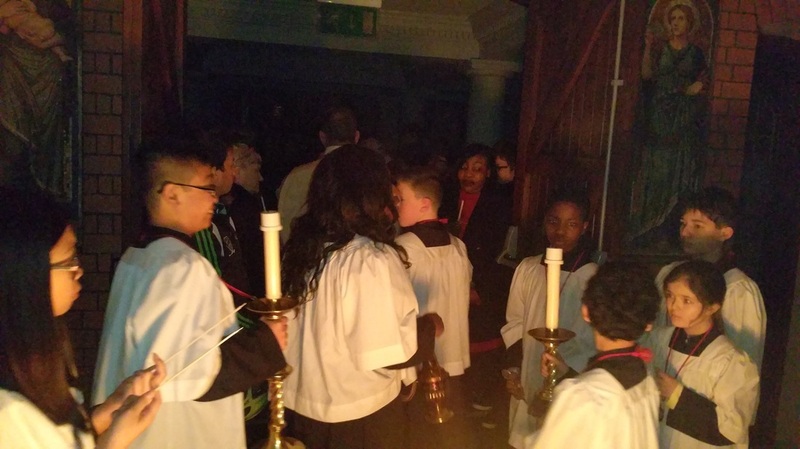 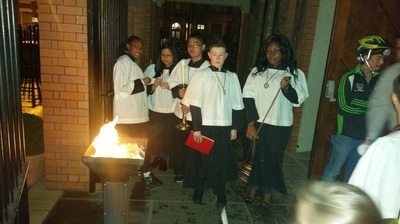 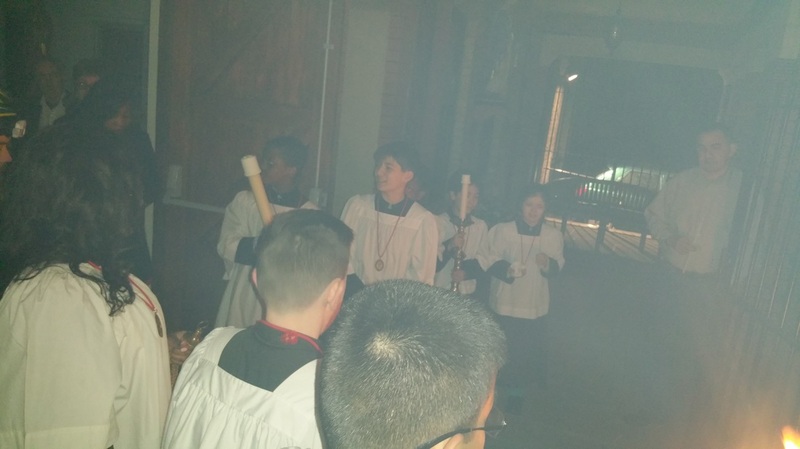 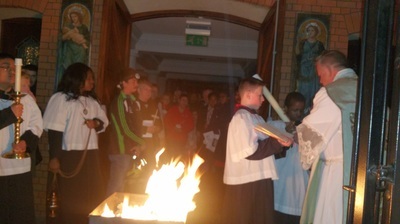 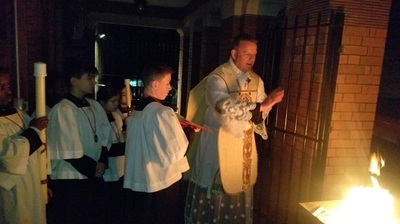 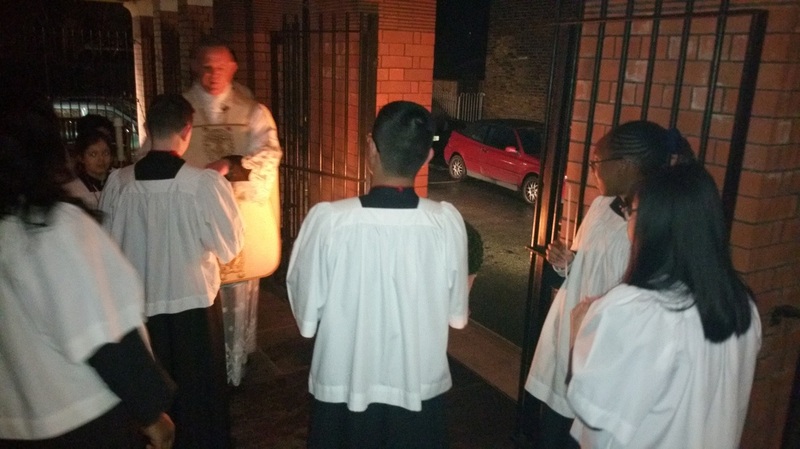 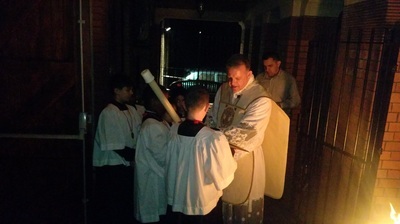 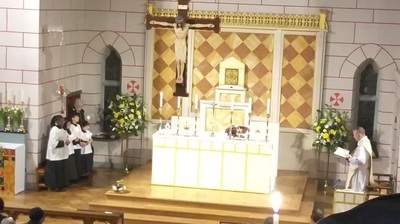 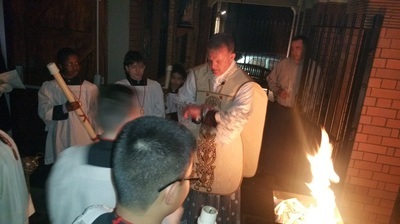 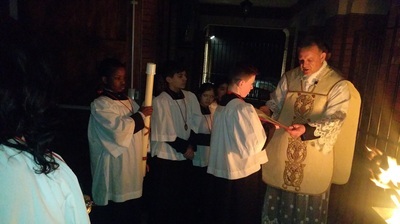 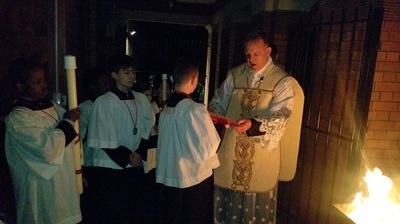 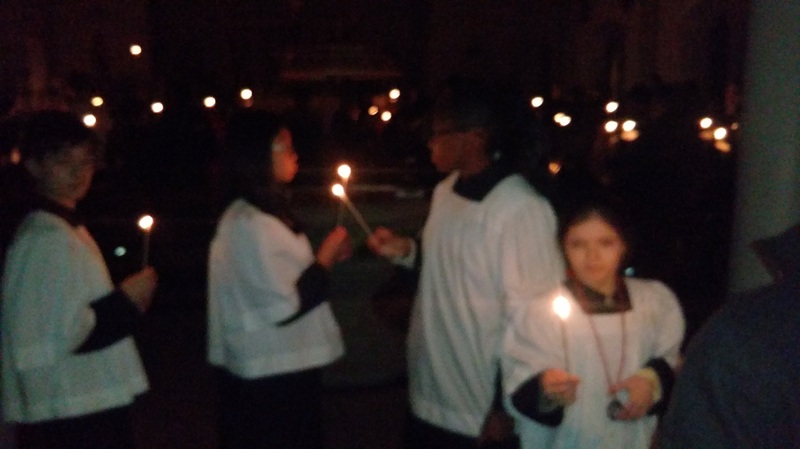 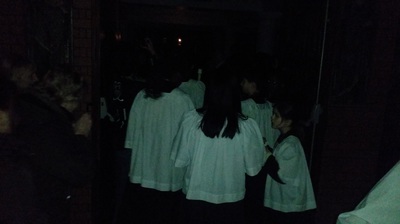 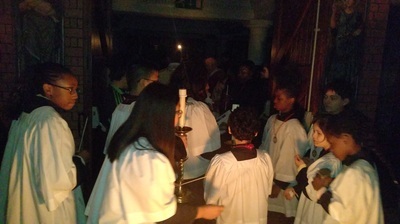 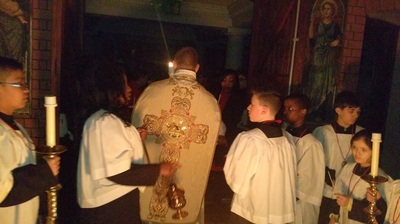 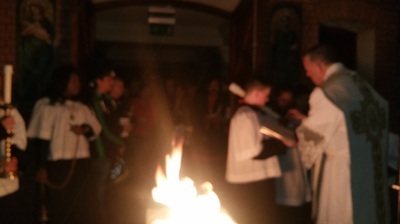 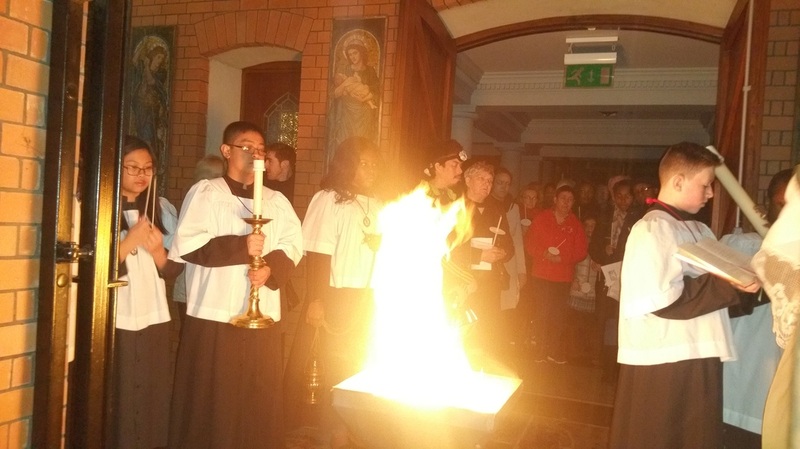 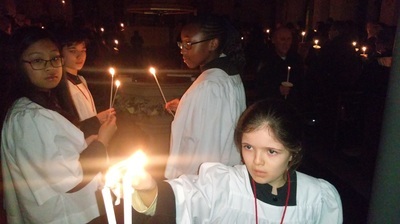 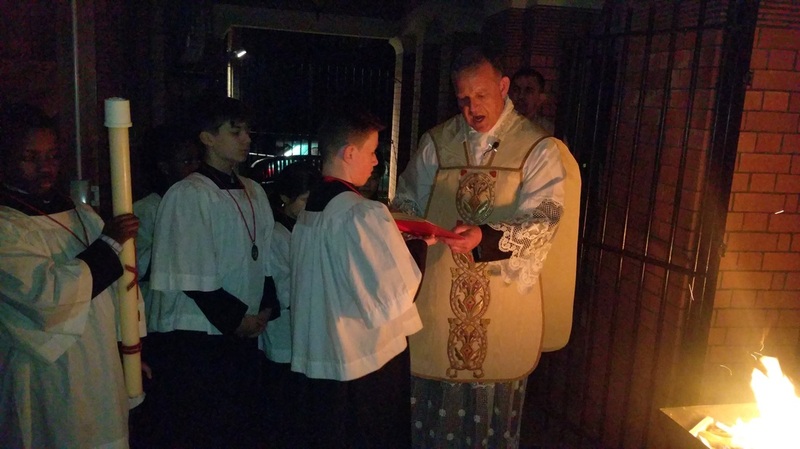 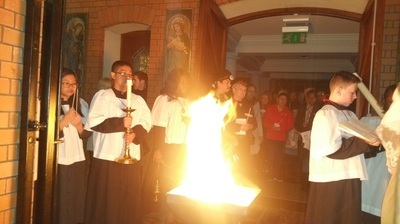 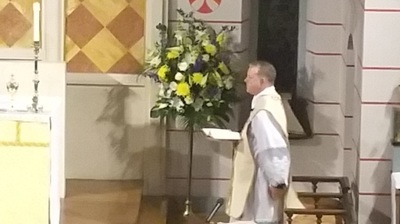 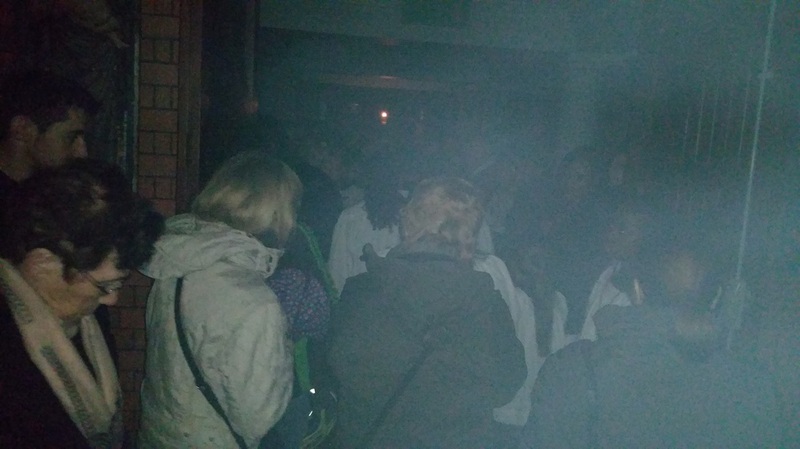 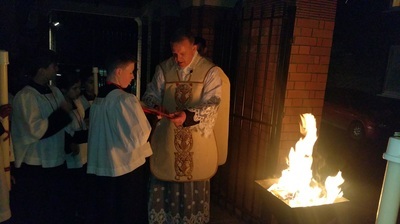 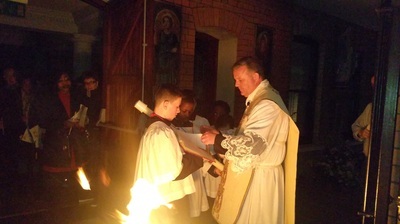 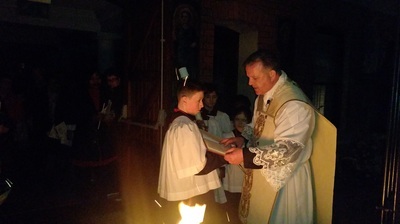 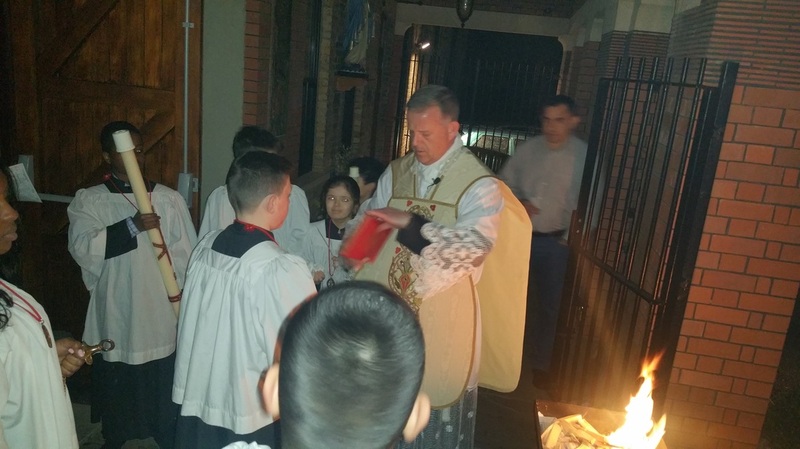 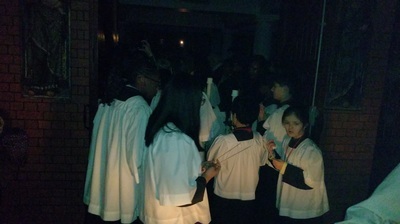 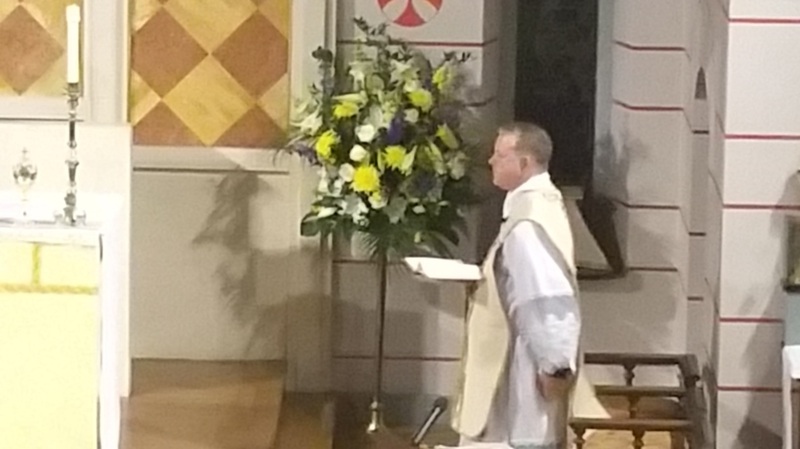 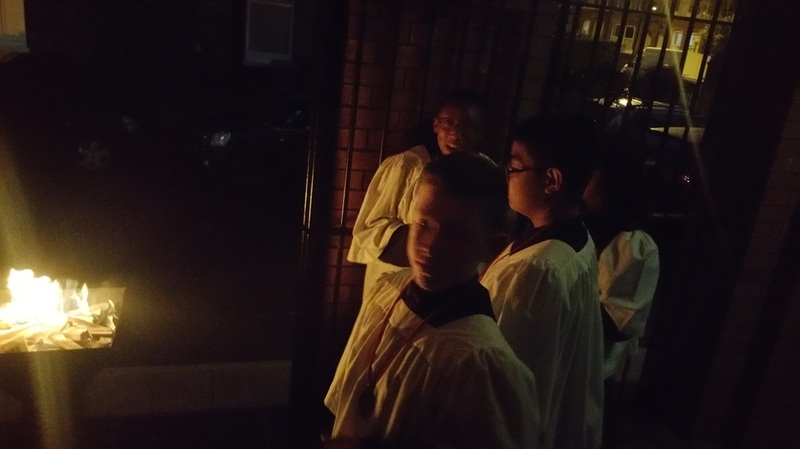 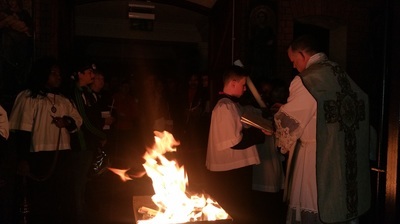 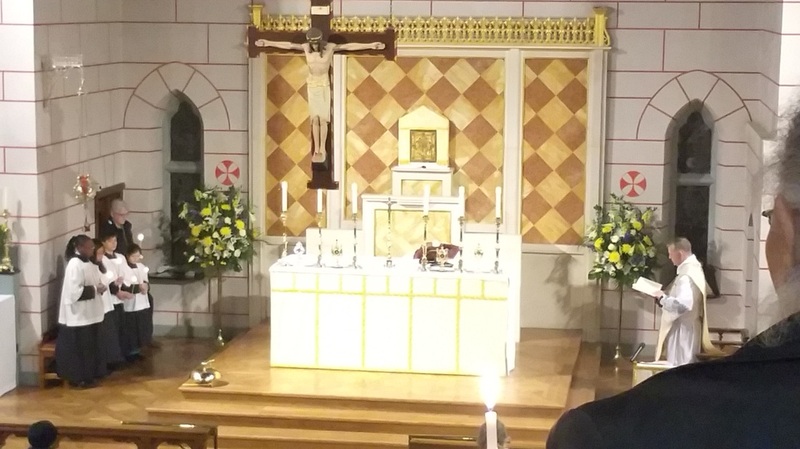 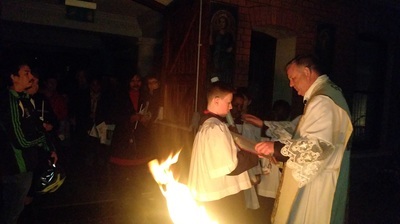 At 7pm on Holy Saturday, with great joy, the Parish of Kensal Rise celebrated the first Mass of Easter, led by the Parish priest, Fr Sean Thornton carrying the Paschal Candle into the darkened church and sang the ancient text Lumen Christi, the Light of Christ. 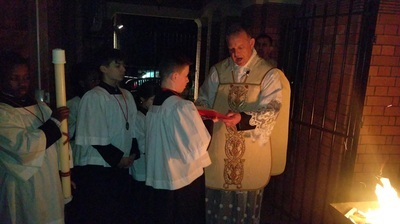 This gallery contains a few images of this solemn occasion. Just click on an image for a larger version. You may then navigate through the images using the buttons on the images or the arrow keys on the keyboard.